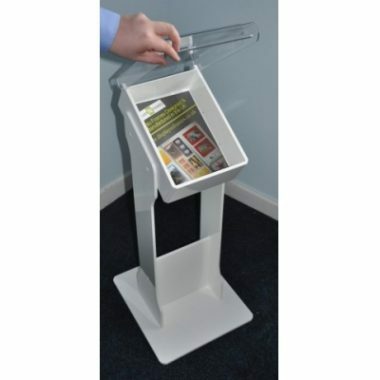 GJ Plastics Ltd we offer a large range of Magazine Stands Newspaper Displays and dispensers. 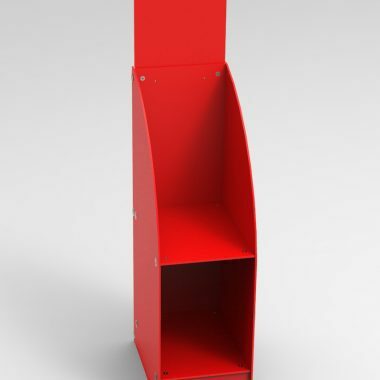 Made from the best quality materials by our team of skilled engineers, designed and exclusively made by us. 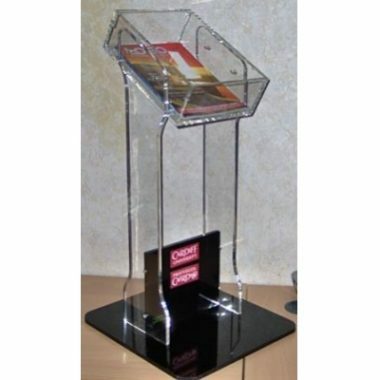 We are passionate about delivering you reliable; quality stands at a cost effective price. 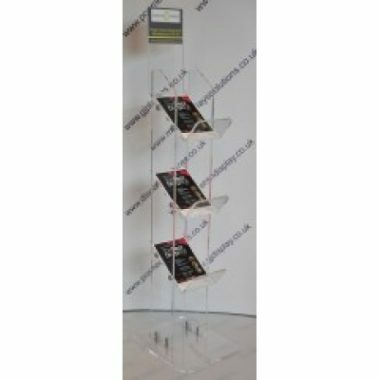 We have an outstanding reputation and are highly regarded to be the leading manufacturer of these products manufacturing for the media industry since 1993. 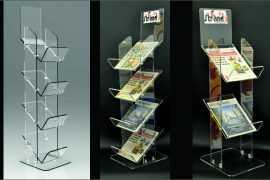 All our magazine newspaper display stands and dispensers start from a concept by one of our product designers. 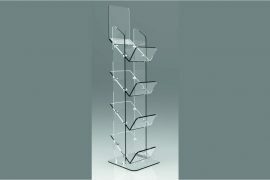 They determine the style and materials to be used in the display while taking into account the daily rigours of the products. 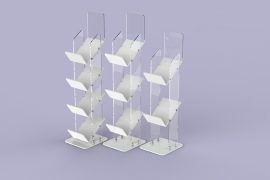 Once product designers are happy with the design, we then move on to prototyping and testing the display stands or dispensers. Thorough testing to ensure they can withstand the day to day usage. 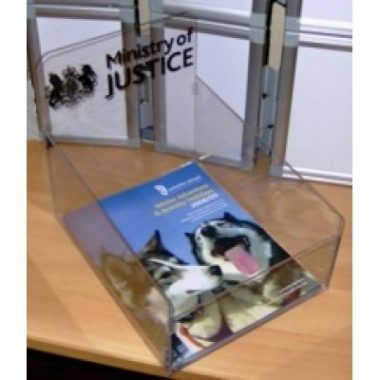 Once completed and they have passed these procedures do we then put them on our site to sell to you. All products manufactured in our UK factory allowing us to maintain complete control over production and quality. 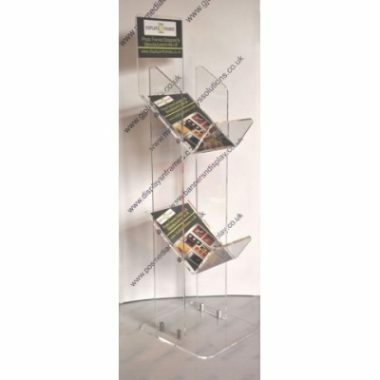 Perspex Acrylic Magazine Stands, Newspaper Displays. 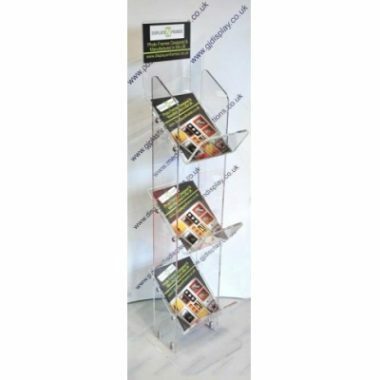 GJ Plastics Ltd has a varied range of perspex acrylic magazine stands newspaper displays and counter dispensers for you to choose. 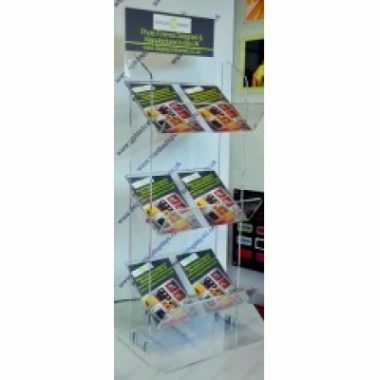 We have two, three and four tier floor standing displays which have sold throughout the world to many clients such as Reuters news agency, the USA Army and also into newspaper publishers and supermarket chains throughout Europe and the UK. 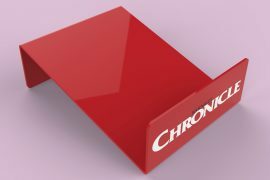 Super Tough Newspaper Magazine Stands. 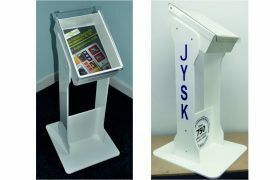 The GJ Plastics Super Tough range of magazine and newspaper display stands are made from a meeting of two materials. 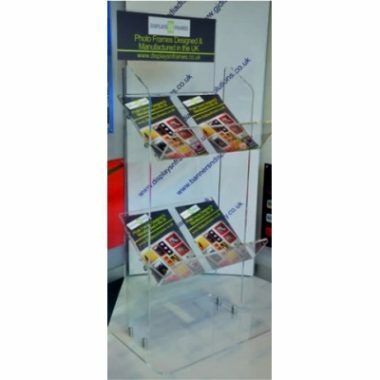 We use acrylic for the side panels and header for fantastic visibility and polypropylene for the shelves and base. Polypropylene is exceptionally robust and almost impervious to damage. 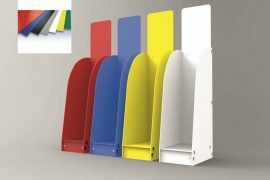 If you need counter dispensers, we have a variety of styles and materials to fit into your require space or environment. 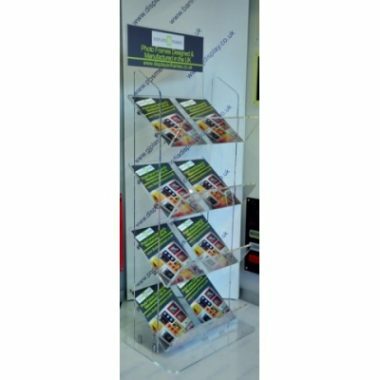 GJ Plastics Ltd makes dispensers in Perspex acrylic, polypropylene and Foamex materials and a range of display types are available. 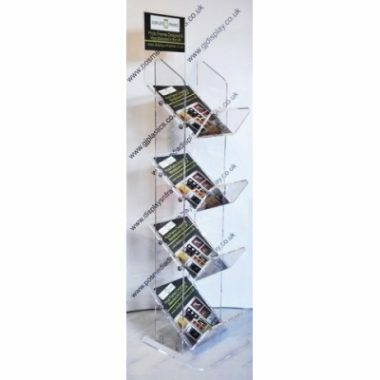 All our products can be branded by us either by direct printing or vinyl stickers in our Printing department. Keeping up with current affairs in the United Kingdom and beyond has been normality in life for quite some time. We are social inhabitants and thrive on educating ourselves, stimulating our minds with information and knowledge. Most of us try and learn something new each day, but with busy lifestyles in a restless world, it is becoming more difficult to find some down time to do so. 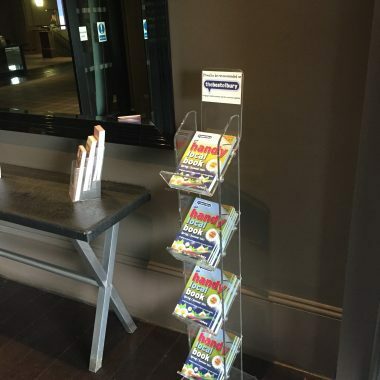 Many people still enjoy reading magazines and newspapers, as they are cheap, lightweight and portable. There is no denying technology plays a significant part in today’s market, but it cannot replace instant access. Magazines and newspapers do not lose connection in tunnels or the underground or have errors and complications. They are office friendly and show sophistication rather than time wasting to employers, so they are perfect during breaks.